After a busy weekend we needed a lunch that was quick and tasty (and used up the new crop of courgettes, picked today). Pizza is always a great choice!!! I used tortilla wraps for the base and spread hummus over them. 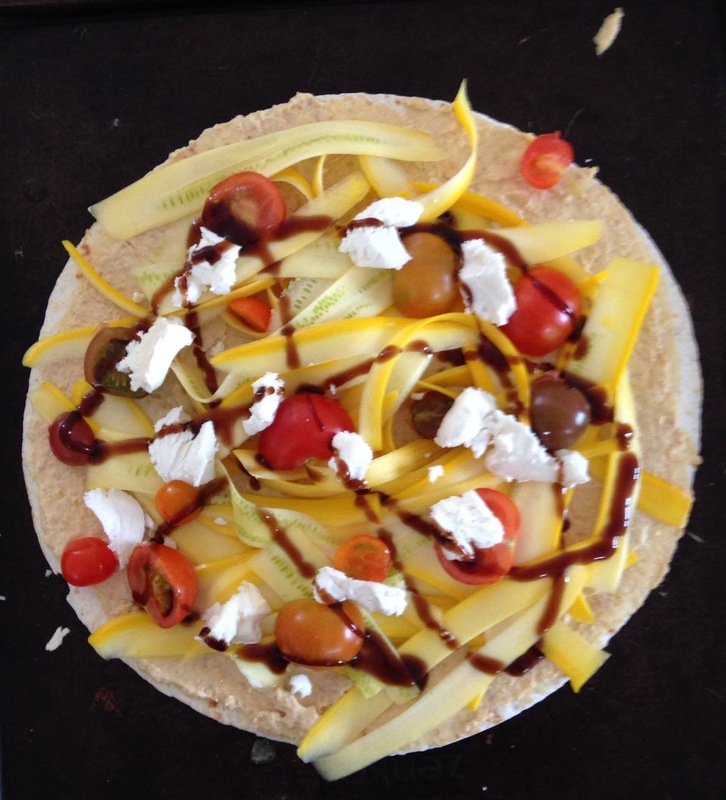 The courgettes where sliced using a peeler and scattered over the base with some cherry tomatoes and goats cheese. I then topped with a little balsamic glaze and popped them in the oven for around 10 minutes. 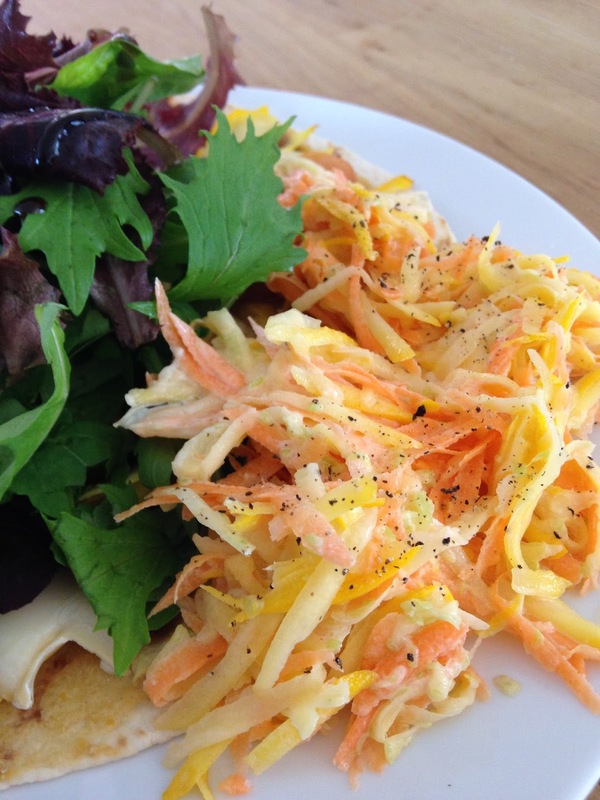 Whilst the pizzas were cooking I whipped up a side of courgette and carrot coleslaw. For this I grated a courgette and then pilled it up between two sheets of kitchen paper so that most of the liquid was absorbed. I then grated a carrot and added it to the courgette with a spoonful of mayonnaise and some salt and pepper. We managed to eat all of this as quickly as it had been made!